Eastenders spoilers tease there’s more trouble ahead for the Mitchell family. 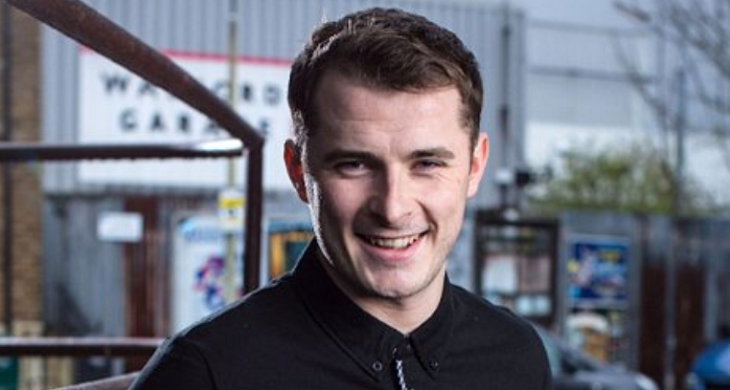 That’s because Ben Mitchell (Max Bowden) will soon be returning home and when he does, there’s a strong possibility that he will be clashing with the family patriarch, Phil Mitchell (Steve McFadden). Here’s what you need to know. Ben will manage to surprise everyone by returning home to Walford after he left last year in one of the biggest scandals that the family has seen. He left Britain and fled abroad with part of his stolen heist money. EastEnders Spoilers – Is Keanu Taylor Involved In The Homecoming? If that weren’t enough, there’s also a strong possibility that Keanu Taylor (Danny Walters) might be involved in Ben’s comeback storyline. Up until now, Keanu has been abroad himself, after Sharon Mitchell (Letitia Dean) encouraged her husband to find a way to get rid of the young lad, in order to better protect their daughter, Louise Mitchell (Tilly Keeper). Little did Phil realize Sharon was doing this in order to get over Keanu herself. They were having a steamy affair behind his back this entire time. Ben and Keanu are expected to team up against their rival gangster, Danny Hardcastle (Liam Bergin). When Phil finds out about this, there will be a huge clash between he and his son. Trouble is brewing for sure. When Keanu comes home, Sharon will be stunned by some of the things he will have to say to her. Of course, fans will have to tune in to find out how this will all go down! EastEnders airs weeknights on the BBC. Check your local listings for times. In the meantime, let us know what you think by leaving us a line with your thoughts in our comments section below. And as always, come back to Soap Opera Spy for all the latest news, updates and spoilers on EastEnders and all of your favorite British and daytime soaps right here! Days of Our Lives Spoilers: Jordan Reveals Shocking Secret To Rafe – She Has A Baby!